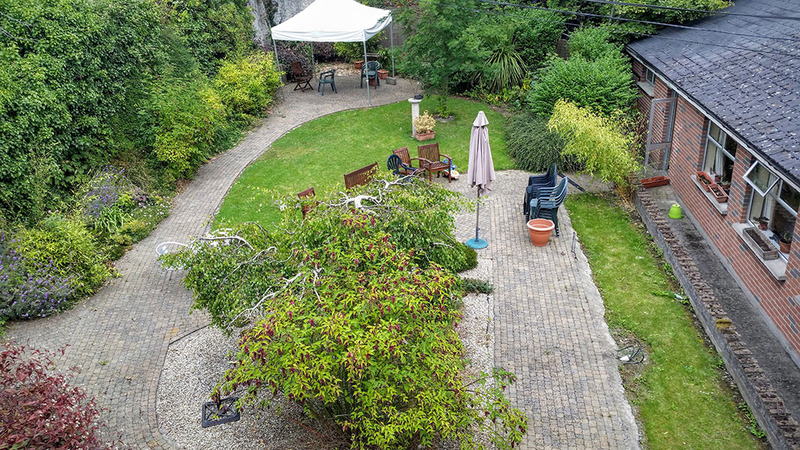 In response to the governments National Dementia Strategy, Newtown Saunders Ltd commissioned TrinityHaus, Trinity College Dublin to carry out research into this area and to develop a ‘Dementia Friendly Garden Toolkit’ for the creation of people‐centred therapeutic garden spaces. This builds upon dementia friendly design research completed by TrinityHaus in conjunction with Trinity’s Dementia Services Information and Development Centre. Earthbound Design contributed to the research project. 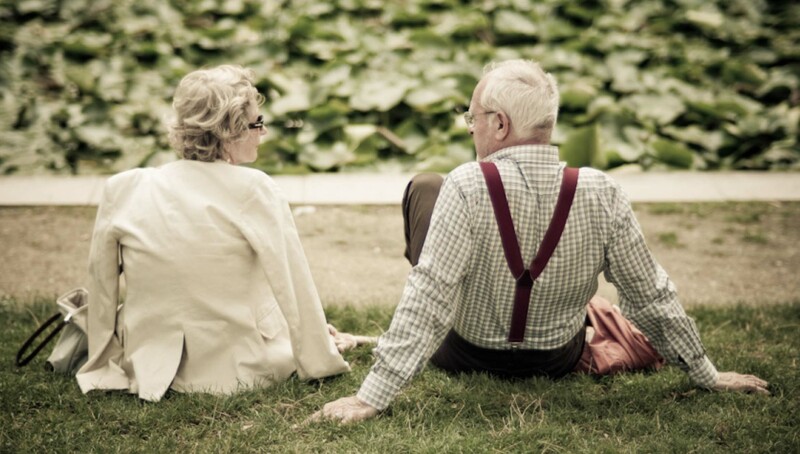 Research has proven that whether a person with dementia is living at home or in a long term care setting, access to outdoor space is a crucial factor in relation to their health and wellbeing. If outdoor space is readily accessible and safe it makes it easier for people with dementia to go outdoors to enjoy nature, socialise, or carry out gardening or other external domestic activities. All of these activities have been shown to be therapeutic for people with dementia and are therefore an important part of dementia friendly design. 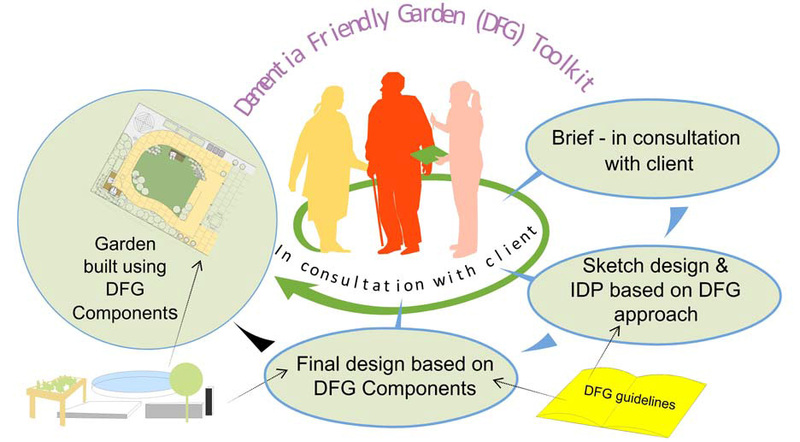 These dementia friendly design considerations have been used to inform a Dementia Friendly Garden (DFG) Toolkit approach as illustrated. This toolkit ensures a human centred design approach where the design process fully engages with all key stakeholders, including the person with dementia, where this appropriate. It also ensures that the dementia friendly design features are based on best practice and will thus result in an evidence based design approach. This research has also sketched out two prototype designs based on the garden in a private dwelling and a shared garden in a supported housing scheme as shown. 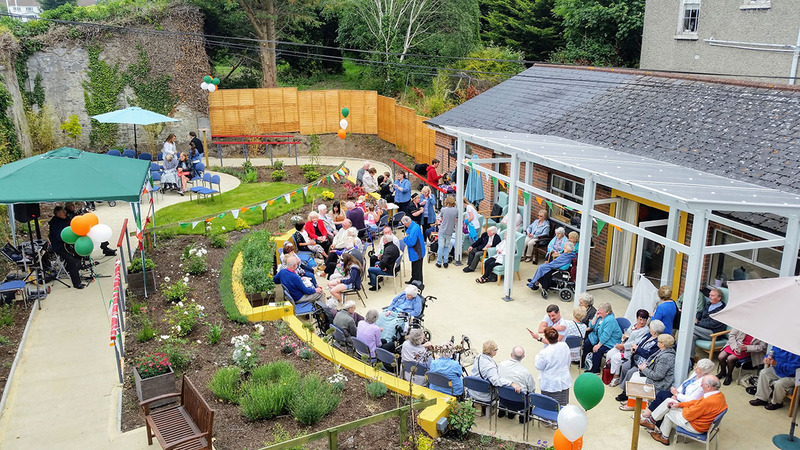 To trial this approach, Newtown Saunders Ltd. worked with TrinityHaus and Sonas APC to engage with a number of care centres to select a care centre in which to build a dementia friendly garden and evaluate the results. As a result of this process, St. Clare’s Nursing Home in Glasnevin, Dublin was selected.